Flame weeders. (single and five row). 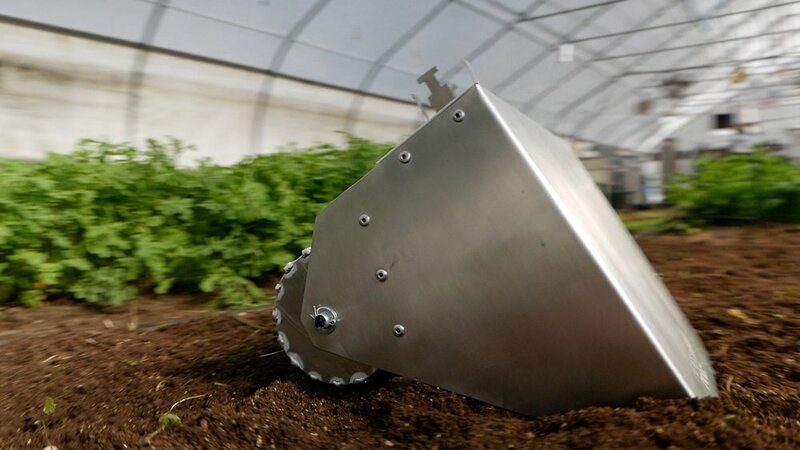 LPG powered flame weeders are used as effective elements of an integrated weed management strategy, as part of a 'stale bedding' practice and for maintaining the spread of external weed seed without the use of deadly chemicals and are a cost and time effective management tool for profitable regenerative market gardening. This is a quantified part of a low carbon footprint system. 1, To burn seed posing a threat, mainly the purpose of a single torch flame weeder. Single torch flame weeders are versatile and will cover all aspects if needed. 1oo BTU Red Dragon flame weeders are the best value/quality single torches for market gardening. There are two models, one with a squeeze handle giving you strong flame only when you need it, convienient to use and one without. with We sell the one with the squeeze valve. 2, To manage weed loads in newly prepared permabeds. We heat tissue cells in single rooted baby weeds, filament stage(first 10 days) stale bedding. Aussie Flame Weeders five torch weeders with shroud are designed for this most efficiently both in time, gas and ongoing expense as it comfortably carries the larger bottle, only costing a few dollars more than the backpack size but double in capacity, this could be a saving of upto $100 per year on a third acre plot. The method involves heating , not burning the baby weeds. Once the cells are heated the weed will collapse. This tends to be quite wasteful with a single torch as you loose efficiency from not having a shroud and the for a strip of bed you need to go back and forth a few times, trebling the time taken. 3, An alternative to the five torch is a stainless steel flame shroud from 'Neversink Tools' Tennessee that fits on the Red Dragon, either the 400 BTU/hour or the 100 BTU. The later is my choice. These shrouds have a light weight roller, the same as a Johnny's six row seeder, they cover half a bed width, 350mm at a time, still relatively quick and efficient. 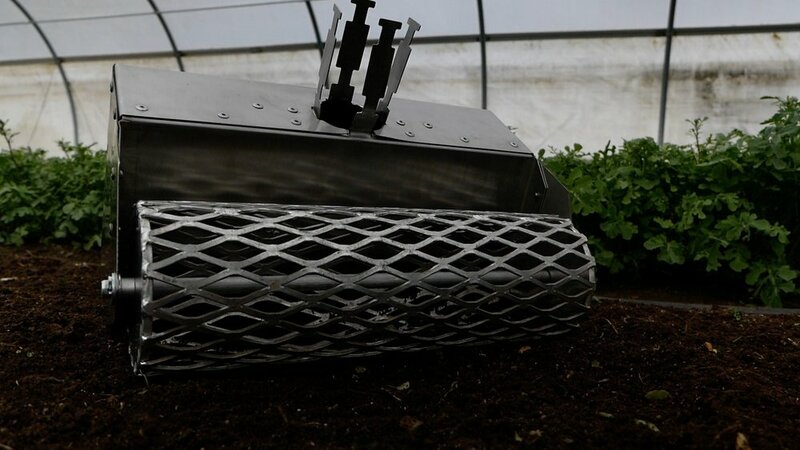 The advantages of the shroud are on a smaller market garden or Urban farm as they take less space, are easy to lift and on the smaller plot are not as expensive to run. They represent good value to the new farmer at a third of the cost of a five torch and are equally high quality.